Sapota is more widely known as chikoo or chiku. This is how it is usually referred to in Indian households. The name "Sapota" is used more technically when referring to the tropical tree which bears this fruit. Sapota is a fruit that belongs to the category of fruits comprising mango, jackfruit, and banana. It is also known as nose berry and sapodilla plum. It tastes delicious and is known to be a calorie-rich fruit. There are numerous health benefits associated with the intake of sapota. It is extremely beneficial for the skin and hair, apart from offering other health benefits as well. This fruit is said to have originated in the rain forests situated in Central America - in Mexico and Belize, to be precise. 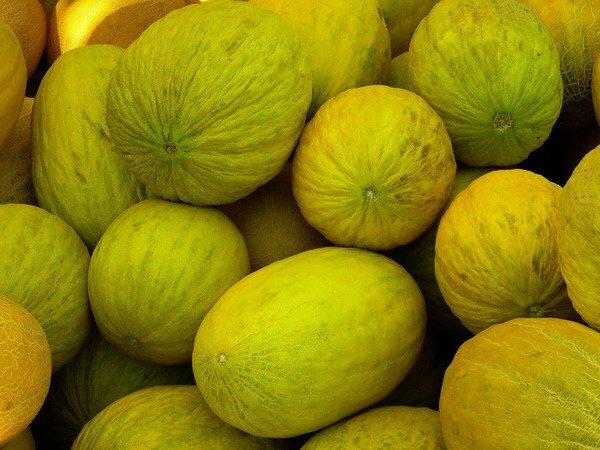 However, it is easily available in India and a fruit that is almost available the entire year. It is an oval shaped or round berry that weighs about 150 grams. It measures about 10 centimeters in diameter. It contains about 2 to 5 black, big bean-like seeds at its centre. The unripe version of the fruit has high latex content that reduces as the fruit ripens. The unripe version of sapota has a kind of a hardened outer surface and a white pulp (due to the presence of high latex content). When ripe, its flesh is brown in colour. It has a musky and sweet flavour. The texture is slightly grainy and smooth. This fruit is calorie rich and also contains simple sugars such as sucrose and fructose (hence, the sweet flavour). Sapota is known for its replenishing energy features. It is also capable of revitalizing the body (the presence of fructose and sucrose makes this possible). Read on to know the top 25 health benefits that sapota is capable of providing. Sapota is rich in antioxidants, minerals, and vitamins, thus making it a great choice for attaining a glowing skin. With such fruits easily available in the market, you will no longer need to rely on salons or spas to attain a flawless and beautiful skin. Sapota is known for treating your skin from within and ensuring that you achieve a natural glow that none of the chemical-rich makeup products can grant. Below are some of the ways that eating sapota benefits the skin. 1. Sapota ensures your skin gets a natural glow and shine. So, eating sapota daily can reduce the effects of a number of chemical-based skin care products that you tend to use daily. Sapota contains vitamin E that moisturizes the skin from within. 2. Sapota contains antioxidants that make it a good anti-ageing agent. This tasty fruit eradicates free radicals in the body which are actually responsible for the ageing process. This fruit is good at reducing the occurrence of wrinkles as well. 3. The seed kernel oil obtained from sapota is used since long as a skin ointment. The residue of the sapota's seed, after the oil has been extracted, can be applied on skin afflictions. This works quickly and is said to show long term results. 4. The sap of the sapota plant, which appears milky in nature, is effective in treating fungal growth and warts that appear on the skin. This offers a permanent solution, unlike several chemical-based ointments that only show temporary results. 5. Sapota contains a unique combination of vitamin A and C that helps in beautifying the skin that gives it a natural glow. Good hair health requires the proper and continuous supply of nutrients to the body and also the appropriate absorption of these nutrients. Hair problems occur due to an improper lifestyle. Hair issues are also related to exposure to harmful chemicals and inadequate nutrients in the diet. Sapota is loaded with enough nutrients making it a good fruit for attaining good hair health. Read on to know the various health benefits that sapota can provide. 6. Hair is kept moisturized and smooth with the use of oil extracted from sapota seeds. Moisturized hair can be easily managed when compared to unhealthy and frizzy hair. Therefore, this oil is also considered extremely beneficial to be used by people who have curly hair. There are many people who avoid the application of oil with the fear that oil would leave their hair greasy and sticky. In contrast to such greasy oils, the oil extracted from sapota seeds does not leave a greasy residue on your hair post application. This is because it gets absorbed pretty quickly. 7. The sapota seed oil also nourishes the scalp and is great in alleviating conditions of irritated skin. It boosts growth of healthy hair. Hair fall caused due to seborrheic dermatitis can also be treated effectively with the use of this oil. 8. You can use the seeds of sapota in the grounded form to prepare a paste that can be used by mixing it with castor oil. You can apply this mixture on your hair, keep it overnight and then wash it off the next day. This is known to effectively control the problem of dandruff. It also makes the hair extremely smooth. Apart from being extremely delicious, sapota is a fruit that is great for your overall well being. This fruit is a storehouse of plenty of nutrients. The flesh of this fruit can be digested very easily. It is high in glucose content, hence is able to replenish the body by providing energy. This fruit is widely used in preparing shakes. This is so because of its sweet taste. The various health benefits of sapota are mentioned below. 9. Being loaded with vitamin A, sapota is considered good for maintaining healthy eyes. Studies have shown that vitamin A can improve vision, even during the old age as well. 10. Being rich in glucose, eating sapota can provide you with instant energy. Athletes are always recommended the consumption of this fruit. 11. This fruit has a high content of tannins. This makes it a good anti-inflammatory agent. It prevents digestive tract-related ailments such as enteritis, irritable bowel syndrome, esophagitis, and gastritis. It also reduces inflammation. It is effective in treating pain and swelling. 12. Presence of vitamin A and B in sapota helps in keeping the health of the mucus lining of the body and the skin texture intact. Sapota being rich in antioxidants, nutrients, and dietary fibre is capable of providing protection against cancer. The carcinogens are tightly binded that protect the mucus membrane of the colon. Oral cavity and lung cancer is prevented due to the presence of vitamin A. 13. The presence of calcium, iron, and phosphorus in large amounts makes the bones strong. Sapota is rich in iron, calcium, and phosphorus, thus strengthening and enhancing the bones. 14. Sapota contains high amounts of dietary fibre which makes it an excellent laxative. So, if you are facing issues of constipation, then sapota should be quite helpful. This fruit supports the colons' membrane and also makes it resistant towards infections. 15. Sapota is rich in carbohydrates and other essential nutrients. This makes it highly recommended for consumption during pregnancy and also when breastfeeding your newborn. Symptoms of pregnancy such as nausea and dizziness can be effectively treated with the consumption of sapota. Eating this fruit also reduces weakness. 16. Sapota is known for its haemostatic property that is the feature of being able to stop blood loss. Therefore, eating sapota when you suffer from injuries or with other ailments such as piles can be quite effective as it is capable of reducing bleeding. Grounded sapota seeds can be applied in the form of paste to relive pain due to stings and insect bites. 17. Sapota contains polyphenolic antioxidants. This makes it a good anti-viral, anti-bacterial, and anti-parasitic agent. The presence of antioxidants prevents the entry of bacteria into the human body. The harmful free radicals are destroyed by vitamin C. The presence of iron and folate, potassium, niacin, and pantothenic acid aids in the appropriate functioning of the digestive system. 18. Sapota shows purgative property that makes it a good anti-diarrheal. To cure diarrhea, you can prepare a decoction by boiling sapota in water. This is also helpful in treating dysentery and piles. 19. Referred to as a potent sedative, sapota calms the nerves and helps in relieving stress. Nutritionists and dieticians recommend sapota for the treatment of anxiety, insomnia, and depression. 20. Sapota fruit is good for alleviating cold and coughs. It treats congestion and chronic coughs. This fruit can effectively remove phlegm and mucus from the respiratory tract and the nasal passage. 21. Crushed sapota seeds act as a diuretic. This works by expelling kidney and bladder stones. Kidney diseases are kept at bay with the intake of this fruit. 22. Sapota fruit is linked to weight loss indirectly. It is known to prevent obesity. It regulates the secretion of gastric enzymes and hence regulates metabolism. 23. Waste materials are eliminated from the body through frequent urination. This happens with the intake of sapota in good amounts due to sapota's diuretic feature. Edema is prevented by the intake of sapota. Edema is nothing but excessive water retention which can be prevented by maintaining the water concentration inside the body. 24. Sapota has a high latex content. This, therefore, can be used as a crude filling when you face tooth cavities. 25. Magnesium present in sapota is helpful for the blood vessels. Potassium present in sapota regulates blood pressure and promotes healthy blood circulation. Presence of iron and folate helps in the prevention of anemia. Sapota improves the functioning of the intestines and strengthens it as well. Sapota fruit is known for developing the body's resistance towards fighting infectious diseases. It is good to eat the ripened version of sapota. This provides the ultimate health benefits. However, you can attain the health benefits from the intake of sapota juice as well. Eating raw sapota fruit is not recommended as it is extremely bitter because of the presence of high tannin and latex content. Eating raw sapota could result in mouth ulcers, difficulty in breathing, and itching sensation in and around the throat. Sapota is a delicious fruit that comprises vitamins, glucose, minerals, nutrients, tannins, etc. When ripe sapota is eaten, it provides your body with minerals like copper, potassium, iron, and vitamins like niacin, pantothenic acid, and folate. These compounds are essential for the overall well being of the health because it keeps the metabolism regulated. Sapota is a healthy fruit that serves to be a great source of dietary fibre. This makes it a good laxative and keeps the outer membrane of the colon protected from carcinogenic toxins. Naturally occurring polyphenols called tannins are present in sapota. This gives it its antioxidative features. This facilitates the neutralization of acids and cures problems such as bleeding, hemorrhoids, and diarrhea. Sapota is a good source of vitamin A and C. Vitamin C is responsible for providing resistance against infections. It also prevents the creation of harmful free radicals. Vitamin A is helpful in promoting vision and protection from lung cancer and oral cavity cancer. Stress and fatigue is prevented by the presence of vitamin B in high amounts. Vitamin E present in sapota helps in maintaining healthy skin. Sapota also contains protein in ample amount. Proteins are required for the proper growth of one's body. Sapota is an energy-giving fruit due to its richness in glucose. These ample health benefits of sapota will only make you more interested in indulging in this awesome fruit frequently. Eating them is extremely healthy and no one can say no to this amazing fruit, especially due to its sweet taste. Sapota is a fruit that is liked and loved by children and adults alike.